Hi Friends: Today's post is mixed media canvas using some of my favorite mediums. As always with my mixed media projects, this was SO MUCH FUN! 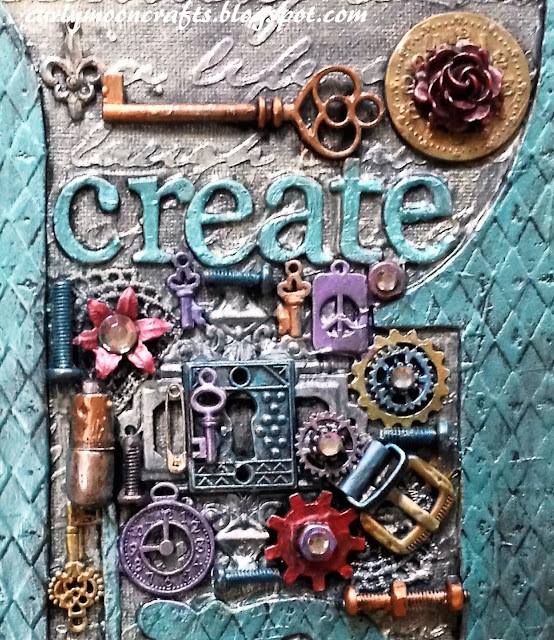 I was inspired by many of my favorite mixed media artists such as #finnabair and #maremismallart. Please see below for photo, process, challenges, and supplies. Have a super day and take time to do what you love! Prep canvas with black gesso. Apply black molding/embossing paste through stencil. Paint canvas with Old Silver Inka Gold. 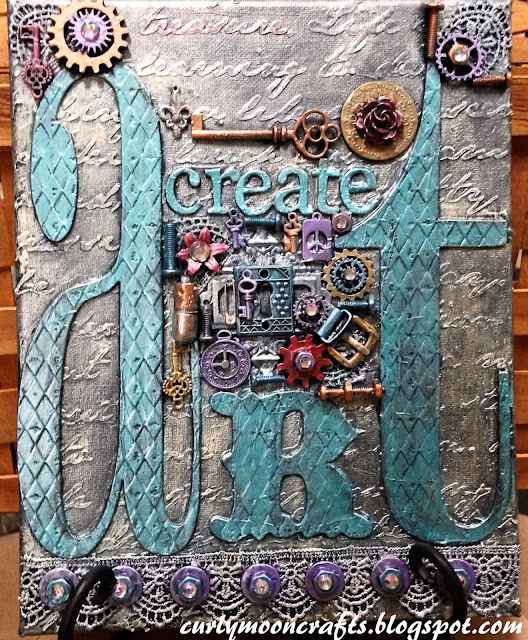 Glue on all letters, charms, metal pieces, embellishments and lace and cover with black gesso. Paint letters with turquoise Metallic Lustre. Paint all other embellishments with varying colors of Inka Gold and Metallic Lustre waxes. When dry, buff canvas and embellishments with soft cloth to bring out the shine. Finish by gluing clear gems to centers of washers/nuts, flowers, and various metal pieces. 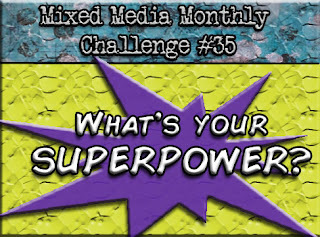 MMMC #35 - What's Your Superpower? In this case, my superpower would have to be my passion for creating art with my mixed media projects, cards, and layouts. 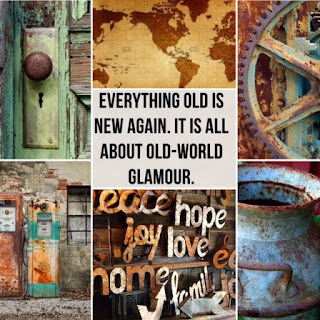 It is so much fun and I can never wait to get to my craft room and start creating! Note: Many apologies if I missed specific product names for the metals, wood pieces, and other embellishments - I tried to capture them all! Great canvas - very cool!!! I have some of those letters I need to use up someday!! Thanks so much for playing at the Mixed Media Monthly Challenge. Awesome! Much fabulous details! Thanks for joining our April challenge at Berry71Bleu! Love the way you centered the embellishments. Great structure and colors. Thank you for playing along with the Berry71Blue April Challenge.